Zuri Group is thrilled to announce that John Auwaerter has joined the Zuri family as Senior Technical Consultant. 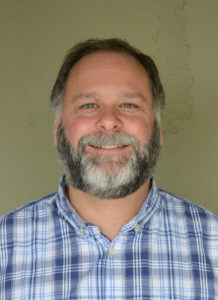 John brings with him over 20 years experience with Blackbaud software and is the leading subject matter expert in infrastructure, application, and database management. We sat down with John to ask him some questions so we can all get to know him a bit better. John, first things first – can we get a phonetic spelling of your last name? Ha, well ask 10 people and you’ll probably get 10 different answers. But, its pronounced Aw-er-ter. A lot of nonprofits use Blackbaud solutions in both custom and standard configurations. Can you provide a high-level breakdown the benefits of each? Standard: Implementing Blackbaud software as a turn-key out of the box solution allows for a very fast go-live and less costly solution. If all the customer needs are met by the standard product offering, this is a good choice. Custom: Many customers have very specific processes and needs in regards to the way they run their business, and oftentimes this means the basic, unmodified Blackbaud solution doesn’t meet all the needs. For these customers, implementing some (or a significant amount of) custom solutions is required. Properly implementing a complex custom solution with Blackbaud software requires a dedicated team with extensive knowledge and experience with the platform. Putting together the best team possible is the best way to ensure success. Is there one tip that you could give folks that would help them get even more out of their Blackbaud products? Over time, temporary tables and other unnecessary data can take up disk space and cause database performance to slow down. Some people think that this is just a function of a growing database, and that there isn’t really anything that can be done about it – but that’s just not true. There are a number of things that you can do to clean your database and improve performance that don’t require an outside consultant or support team. Of course, there may be more involved issues that could benefit from an expert opinion. As someone who’s been on the front lines of database management, I’m always available to help troubleshoot, analyze and make recommendations about infrastructure, growth and capacity planning, and performance optimization. 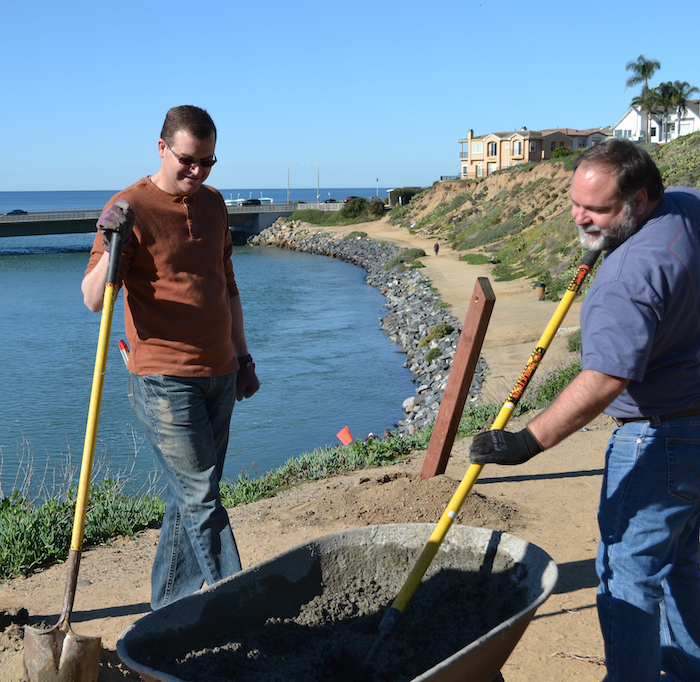 Ken Swift (President, CRM Services) and John Auwaerter (Senior Technical Consultant) build a fence to protect coastal resources for the Agua Hedionda Lagoon Foundation. In your 20+ years of Blackbaud experience, how many organizations do you think you have worked with? That’s a great question! I would estimate that I’ve worked with over 400 organizations– ranging from small projects taking just a few hours to full implementation projects that may last over 18 months. You’ve been involved with hundreds of CRM implementation projects over the years. What would you say is the most critical part of the process? A lot of organizations get very focused on go-live, but I’d have to say that some of the most critical decisions that you’ll make during your implementation projects occur before the project has even started. Things like deciding where to host your server infrastructure – on-premise or via the Cloud, for instance – and properly designing and sizing the infrastructure specific to your organizational needs. Although these are two components that typically happen before a project “begins”, they have a tremendous impact on long-term success. 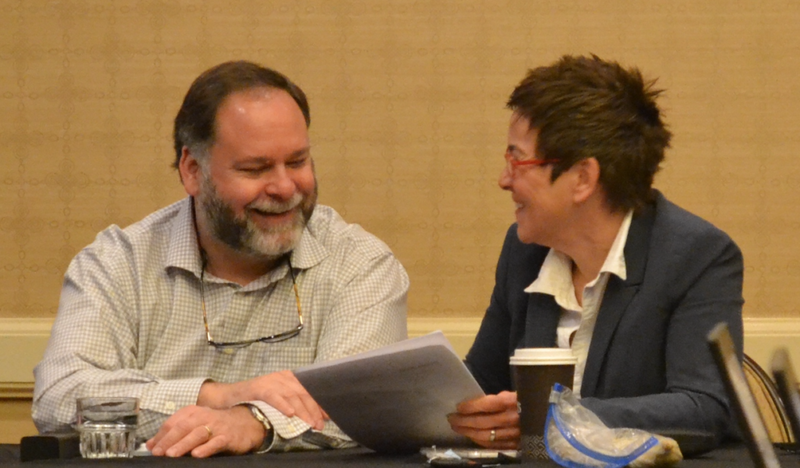 John Auwaerter (Senior Technical Consultant) and Molly Kelly (Vice President, Digital Services) are all smiles at the Zuri Group retreat in Carlsbad, CA. Do you have any advice for organizations that want to retain access and ownership of their Blackbaud applications and data on their own servers, but don’t have the time or the experience to manage the database themselves? John, we’re so glad that you’re officially part of the Zuri Group crew! Thank you, I’m glad to be here! Do you have an infrastructure, application, or database management question?